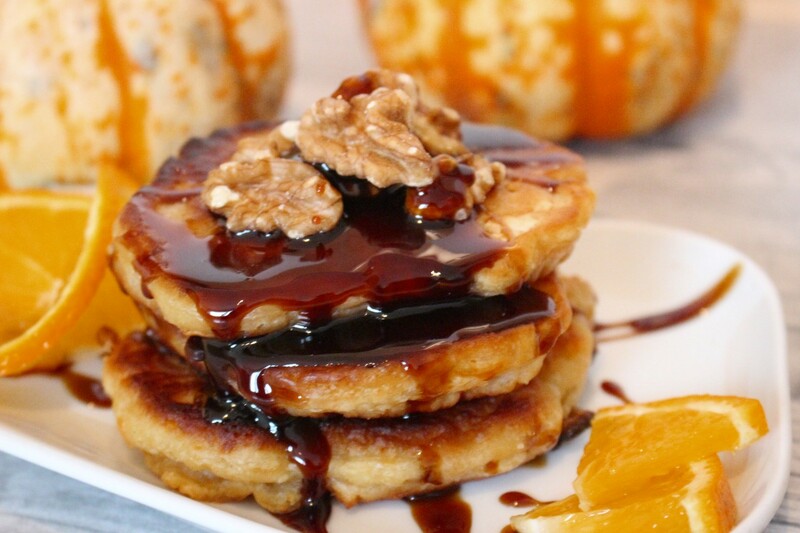 I love my Longue de Nice pumpkin pancakes! ‘Cause: Why not do some tasty baking with pumpkins! Cakes and bread stay wonderfully moist if you add pumpkin. I love that! And tasty pumpkin is just the right thing for pancakes too, if you ask me. I use the Longue de Nice variety from a local farmer. It is more or less similar in taste to Butternut, but way more tasty and just slightly sweet. This makes it the ideal pumpkin for cakes, desserts, or marmelade. And it can be stored well for quite some time, even for months under the right conditions. Peel the Longue de Nice pumpkin (heat the pumpkin a little first in the oven or slice it up and put it in the microwaves for some minutes), grate it. Mix flour, sugar, baking powder, salt, and two teaspoons of the coconut flakes in a in a large mixing bowl. Mix soj milk, oil, and vanilla extract in a cup and pour it into the bowl. Mix the pumpkin into the batter. Allow it to rest five minutes while heating the pan over medium heat. Oil the pan, cook 1/4 cupfuls of batter, browning them from both sides. 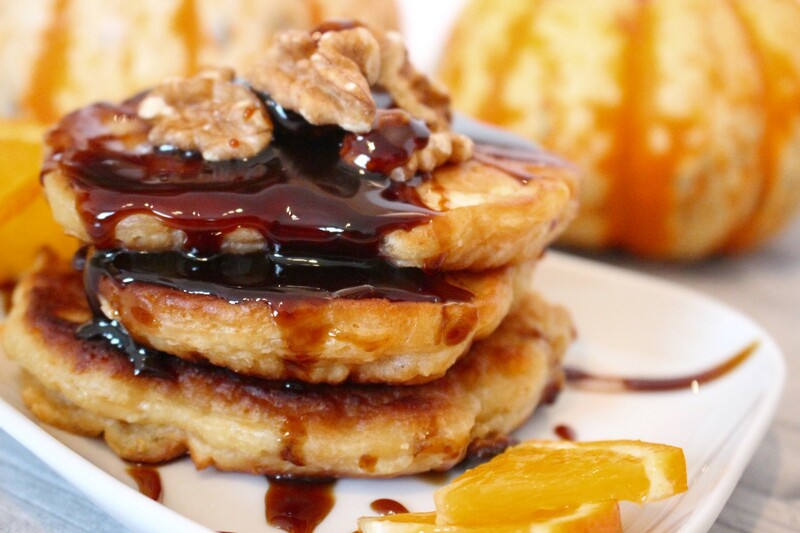 We enjoy the pancakes warm and fresh. 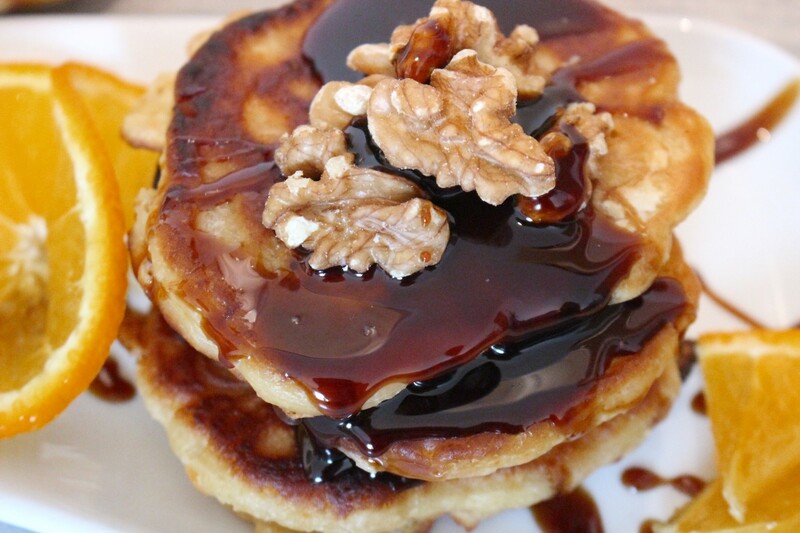 These pancakes are so light and fluffy, I like to have them a little thicker. And they stay warm a little longer this way. Sometimes we add syrup or marmelade. But we love the taste of pumpkin and coconut and mostly don’t add any more sweet stuff at all. If you like it on the sweet side, you might want to add more sugar. oh die sehen soooo lecker aus! Hab vielen Dank – schmecken auch köstlich!